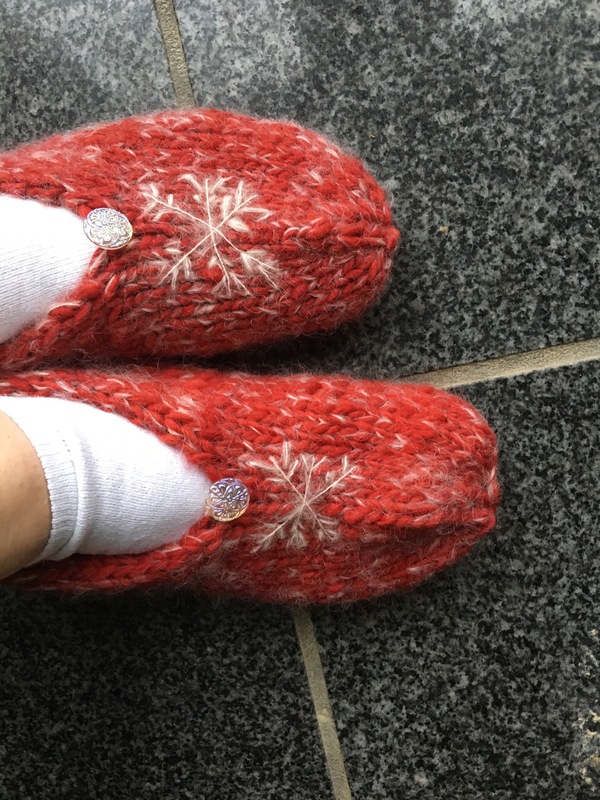 I have had so much fun the last couple of days knitting up these slippers. It was so easy and I can’t wait to make myself a pair. 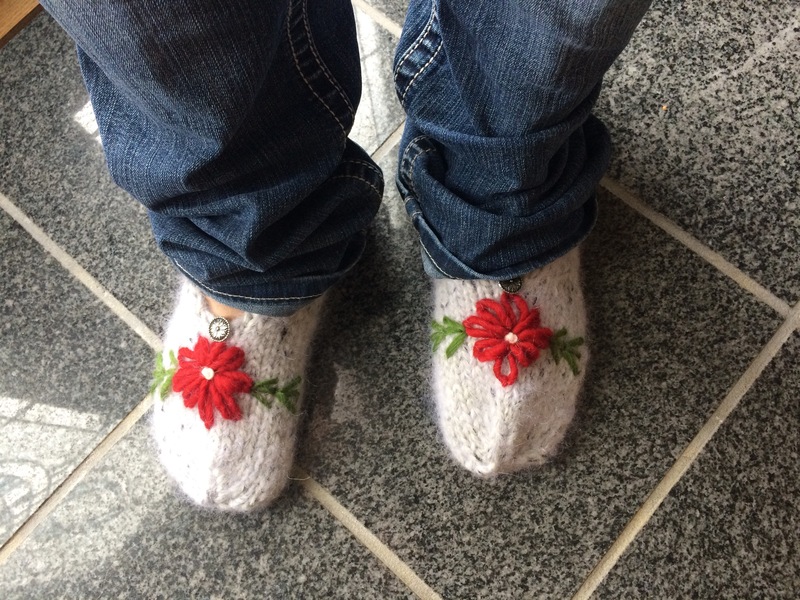 I found these as a kit at the Nebraska Fiber Fair in Mitchell on Saturday. Linda George of Rocky Mountain Mittens had a wonderful assortment of already knit items and kits with the pattern included. 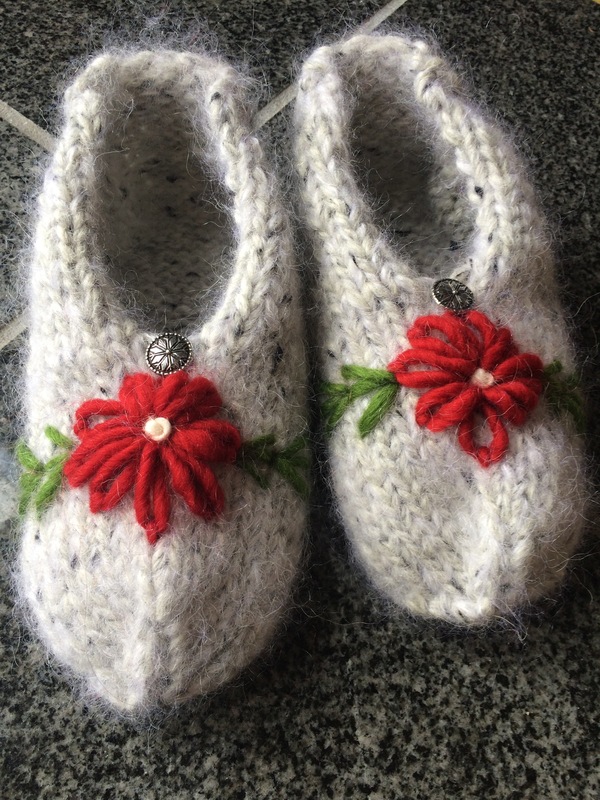 These were so fun, that I made my sister a pair.